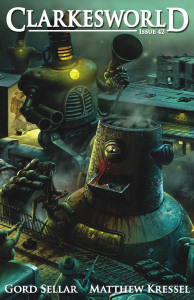 Clarkesworld Magazine has released a podcast of my story, “The History Within Us,” read by the fabulous Kate Baker. This is the first story of mine podcasted, and Kate’s amazing rendition of the aliens’ voices gave me chills throughout. I hope you enjoy this one as much as I have. 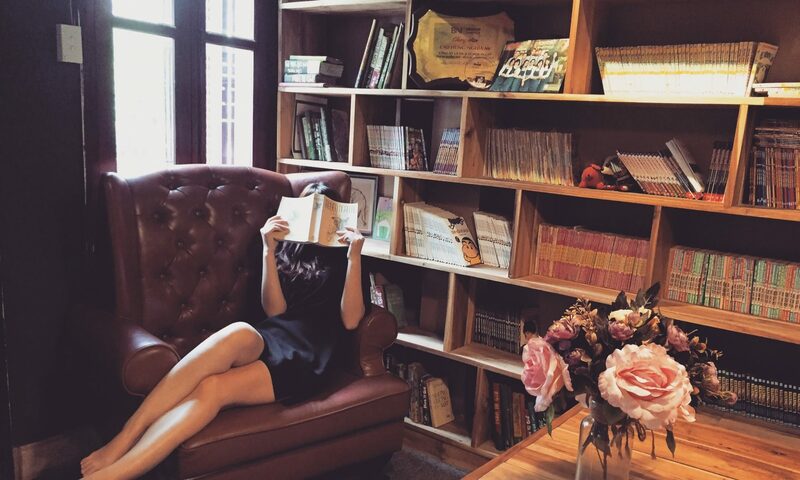 She’s one of the best readers out there. Also today in podcasting, Vylar Kaftan’s story “Fulgurite,” which was originally published in Sybil’s Garage No. 6, is now up at Escape Pod PodCastle (Thanks Rachel!) for your listening pleasure. Transmissions from Beyond has just posted Mercurio D. Rivera‘s story, “The Scent of Their Arrival,” read by Mercurio and myself as the voice of the human. You can listen to the podcast here. I had set three alarms. Two on my clock radio which I’ve had since college, and one on my iPhone. Of course, I was up at before all of them. It was 2:45 am, and I was on my way to Jim Freund’s radio show, “Hour of the Wolf.” Still Friday night/early Saturday morning, the noise from the evening (I happen to live close to several bars) had just faded only an hour or two before. I showered and swallowed a cup of coffee when normally I’d be delta-deep in REM sleep. As soon as I stepped downstairs the car service I had reserved pulled up, and next thing I knew I was off, speeding out of Greenpoint towards the BQE. I told the cabbie to listen to WBAI, 99.5 FM and he immediately tuned in to a reggae/talk politic show. “Do you like science fiction and fantasy?” I asked. “No, not really,” he said. But he seemed more than happy to tune into the station and listen, I suppose because most of the folks he picked up at this quiet hour were either drunk or business folk worried about catching their flight. How many had asked him what he liked? Or perhaps he just wanted a good tip. The caffeine kicked in as we sped along the BQE. I felt high, superb. It had been a long time since I was up this early, long before my circadian rhythm would have me, and as we sped over the Brooklyn Bridge, I glanced over at Manhattan, half-asleep, city lights dimmed for the night. It felt magical, surreal, wonderful. When I pulled up to the WBAI station, out pops Jim Freund from his car service. With bagels. We went upstairs and noshed and chatted and soon the rest of Altered Fluid showed up. 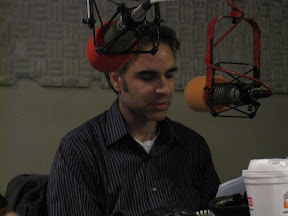 This time it was Rajan Khanna’s time to read on the air. We shuffled into the studio, introduced ourselves to the listeners, and then Raj began “School Bus,” a story of a bus driver whose mother is dying from cancer and enrolls in an experimental drug program to get money to support her treatments. But the drug, it seems, has unintended side-effects. It was interesting, I recall as I write this, that in the car on the way to the studio, the talk-show host was talking about how prescription drugs often have side-effects which cause the same symptoms they are trying to cure. Sometimes the universe just synchronizes that way. Rajan has an excellent radio voice and did a superb job with his story. (He’s recorded podcasts for Jeffrey Ford, among others.) Then it was time for our critiques. Eugene Myers, who was traveling, could not attend. But thanks to the magic of Google Voice, Jim was able to play Eugene’s critique live on the air while we read a mostly accurate speech-to-text conversion of his voice. Had we not prompted him, the casual listener might have thought he was present. Overall, the morning went extremely well. We even got to take several calls. (Though, sadly, no trolls.) Before we knew it, it was 7am, the show had ended, and the sun had risen over New York, and the East River, dark before, was now flooded with light. All too fast, I thought. All too fast. Not to worry, though, I told myself. We’d be back before long to do it again. It’s become a regular thing. For those interested, you can listen to a recording of the show here. And you can see some of my photos from the show here. Altered Fluid will be appearing this Saturday on Jim Freund’s radio show “Hour of the Wolf.” We will be critiquing a story by Rajan Khanna live on the air. 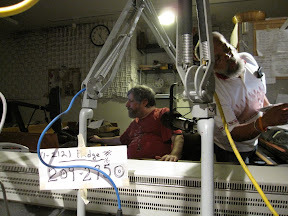 The program airs from 5-7am on WBAI, 99.5 FM in the NY Metro area, or can be heard live and after the show anywhere in the world at http://stream.wbai.org. Here’s a link to the Facebook Event. You can read about our previous on-air hijinks here.